This essay is the first in a series on how to succeed in public media leadership. 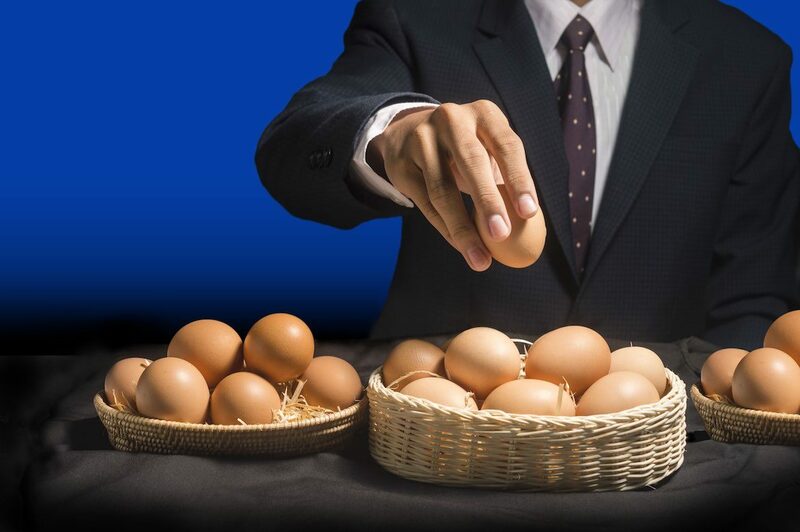 One of the duller phrases in the world of nonprofit management, “diversification of revenue,” means making your organization resilient by developing multiple sources of funding to support your mission. Ideally these funding sources aren’t subject to the same political or economic forces as other revenue streams. I learned the importance of revenue diversification as I moved into station management. In my first position, as a station CEO at Prairie Public Broadcasting in North Dakota, I had to shut down two money-losing bingo halls within months of starting the job. Starting in 1977, North Dakota supported nonprofits by permitting charitable gaming, mostly bingo and pull-tabs. But the popularity of tribal casinos, which had introduced slot machines and roulette, had cut deeply into Prairie Public’s bingo revenues by the time I arrived. I had to act quickly to stop the bleeding. To succeed at any revenue initiative, I’ve learned that you have to be agile and maintain board support — from launching something new to closing down once-productive activities that have run out of steam. In 1999 I became CEO of WITF Public Media, a joint licensee in Harrisburg, Pa., with a long history of creating new revenue sources — including through commercial media business ventures. WITF-TV and WITF-FM serve the capital region of the Commonwealth of Pennsylvania, a 19-county area of 2 million citizens living in medium and small towns, suburbs and rural areas. As a community licensee, WITF enjoys a level of independence and flexibility that institutional licensees often lack. WITF’s board includes business and education leaders willing to take informed, measured risks. Here are important lessons I’ve learned during a career on the frontlines of building revenues that advance public broadcasting’s mission for local service. Lesson #1: Even seemingly predictable funding sources aren’t reliable. WITF’s track record of seeking revenues from multiple sources was built on tough organizational realities throughout its history. In the early 1970s, WITF had a near-death financial experience after optimistically anticipated production grants did not arrive. In 1981, when the Reagan administration cut federal funding by 25 percent, the blow put an end to plans to build a new facility. Ten years ago the Great Recession caused corporate sponsorship to contract. Pennsylvania state funding to public TV stations was eliminated in 2009, though in 2016 the state resumed much more modest annual appropriations. Lesson #2: Balance appreciation for past successes with the need for thoughtful exit strategies. Some of WITF’s earliest strategies in revenue diversification were still in use when I arrived in 1999. One of them was struggling. 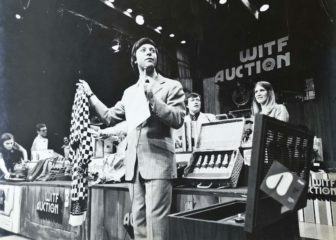 Mike Greenwald, then director of development at WITF, hosts an on-air auction in the 1970s. WITF-TV was an early pioneer of the on-air auction, starting in 1969 by offering general merchandise and later shifting to an arts and crafts focus. The auction required a huge commitment from staff and volunteers, who were responsible for securing the donated items and transporting them to and from the station in preparation for a week of live broadcasts. The auction had generated $100,000 or more in net revenues for many years. But by 2004 the net had declined so much it didn’t justify the efforts of our staff and volunteers. The recommendation to end the auction was difficult; it had been a central focus of our volunteer corps and a fundraiser that so many people enjoyed. I had to make a factual case to the board and then to the community. These days about a dozen volunteers from the auction era are still active with us, as tour guides for student groups, as event staff and during pledge drives. In 1990 WITF provided satellite uplink services to a startup commercial radio network called Radio PA. When the network wasn’t able to pay its bills, as a creditor WITF took over its affiliates and advertisers, and we made a financial success of running it. Radio PA provided newscasts and reporting on state government news, weather and sports to more than 50 commercial radio stations statewide, reaching a million listeners weekly. It was so successful that we created WITF Enterprises, a for-profit subsidiary, to protect WITF’s nonprofit status. Radio PA evolved to include a media-buying service and, eventually, a full-service advertising agency called Top Flight Media. In its best years, the 2000s, these for-profit enterprises contributed $700,000 a year to WITF’s operating revenues. The senior team and I thought we could replicate this success by expanding into New York, and we created the Empire Radio Network in 2005–06. Our board was supportive of the expansion, but it took us more than a year to realize that we couldn’t beat the incumbent competitor, the New York State Broadcasters Association. We abandoned the effort and furloughed the small staff we had begun to build. Lesson #4: Recognize when you don’t have the expertise — and find a partner. Many public TV stations produce and distribute program guides to their viewers. Starting in 1985, WITF was one of a handful of stations to publish a full-scale advertising-supported magazine. Central PA magazine contributed important net revenue and served as a high-quality promotional vehicle for our programming. But as the shift to digital advertising cut into our revenues, I concluded that we didn’t know enough about print publishing to navigate these changes. So in 2012, WITF transferred ownership of the magazine to a local newspaper in return for eight pages of WITF content in every issue. That worked — until it didn’t. Central PA magazine ceased publication in December 2017. Lesson #5: Set targets for revenue and expense for close monitoring by staff and board. The digital advertising tsunami also affected another WITF revenue source: Radio PA. As traditional print and broadcast advertising declined, commercial radio groups were bought and sold with startling rapidity, making it difficult for Radio PA to maintain affiliates. Advertising revenues have since plunged. For the current fiscal year, we have trimmed costs and adjusted the service mix, focusing on the news formats most used by Radio PA clients. Lesson #6: Be like Harvard — build your endowment. Diversification applies to our philanthropic efforts, too. We’ve twice monetized broadcasting assets to build a board-designated endowment. In 2008, WITF began leasing its EBS spectrum. During the recent television broadcast spectrum auction, we entered a channel-sharing agreement. Pavelko talks with a donor during WITF’s 2018 Legacy Circle Dinner, an event for those who support the station through planned gifts. Our planned giving society has been active since 1982, and we’ve recently placed a new emphasis on promotion and staffing of our planned giving program. Through these combined efforts, WITF’s endowment of board-designated resources has grown from $430,000 in 1999 to more than $30 million today. As I examine our next options to diversify revenue, it seems clear that both small-scale and large-scale efforts are called for. On the modest side, we have rented office space in the Public Media Center to two compatible nonprofits. We’ve adjusted our production services to offer less-costly options (flypacks for rental as well as an HD production truck). Our increased endowment enabled us to launch a major news initiative called PA Post. We’re adapting the Texas Tribune’s digital-first statehouse news model for Pennsylvania, with the advantage of building on our existing statewide broadcast platforms of public television and radio. By reaching audiences across the state with broadcast and digital content, we’re able to approach potential funders — including individual donors, foundations and corporate sponsors — who would not support a regional effort. We continue to look at acquisition opportunities — a modest-sized business in the right commercial sector could be a good fit for us. But we must heed the lessons I’ve shared about finding new ways to support our mission. As boring as the phrase may be, “diversification of revenue” is a key to public media’s financial stability, mission success and long-term organizational viability. Kathleen Pavelko is retiring as CEO at WITF at the end of this year. Since joining the station, in 1999, she led a $21 million capital campaign for construction of new headquarters, which opened in 2007, and steered WITF’s launch and participation in several content initiatives. These include Smart Talk Radio, a daily interview program, and multimedia journalism projects such as State Impact PA and Keystone Crossroads. 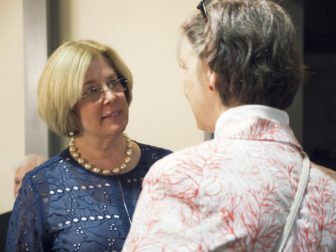 Earlier in her career, she was president of Prairie Public Radio in Fargo, N.D. She also worked in production and management at WPSU in State College, Pa.